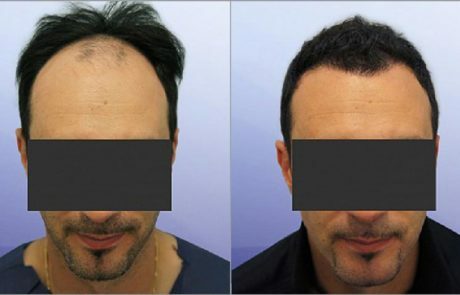 ARTAS is a robotic revolution in speed, precision and accuracy for hair transplantation. 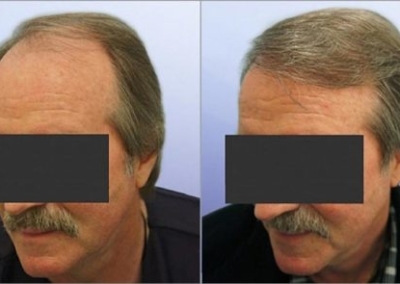 Minimally invasive Robotic Harvesting is a state-of-the-art, proprietary hair transplantation advancement available exclusively with the ARTAS Robotic Procedure. 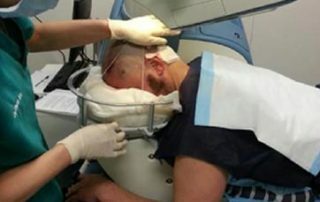 ARTAS Artificial IntelligenceTM algorithms are used to identify and select your prime hairs for harvesting, while maintaining the appearance of your donor area – all under the control of your physician. 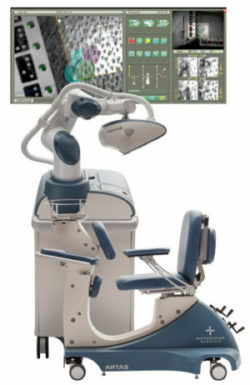 These capabilities are available only with the ARTAS® Robotic System by Cryomed. 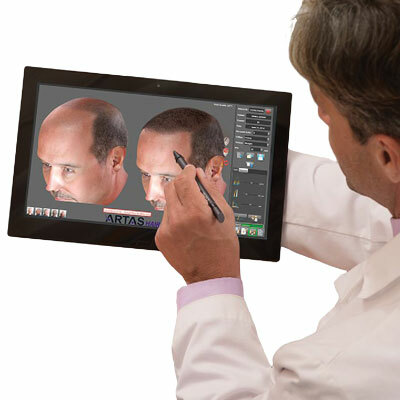 ARTAS Hair Studio® (AHS) technology is a 3D photograph-based simulation of your potential results. 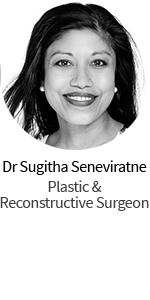 During your consultation, your physician will create an aesthetic design and illustrate different options, showing you various graft counts and hair distribution, with your direct input. 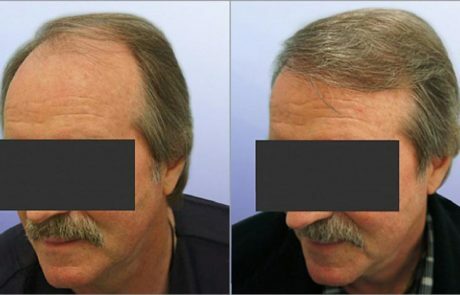 Your physician uses ARTAS Hair Studio® technology to build your personalized treatment design. 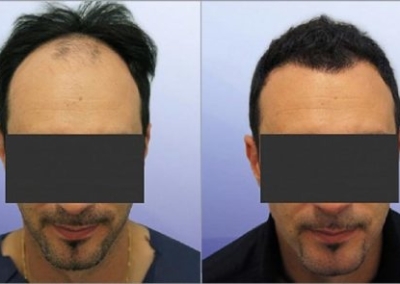 That treatment design is then transferred to the ARTAS System to deliver your Recipient Site Making pattern. ARTAS Artificial IntelligenceTM algorithms are used to determine where the recipient sites are made to provide the best possible aesthetic outcome, while protecting your current hair. Allows maximum control and accuracy of end-to-end process. 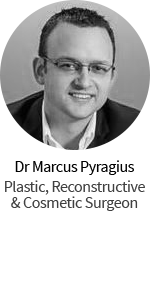 For more information or to find a practitioner who offers this revolutionary device head to the Cryomed Aesthetics website here.